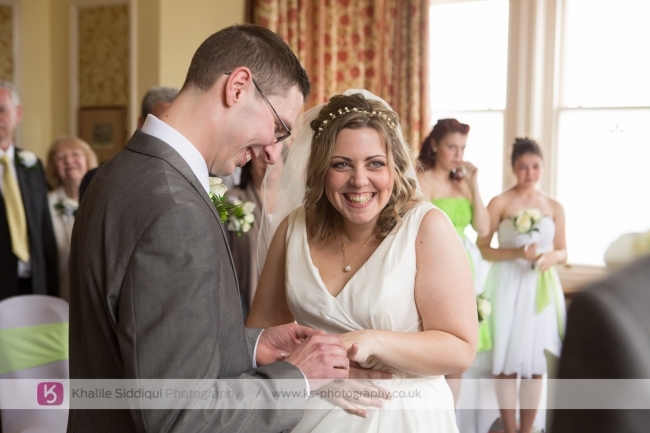 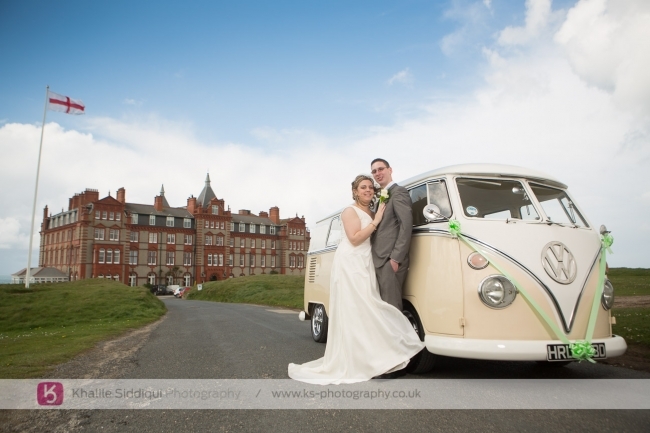 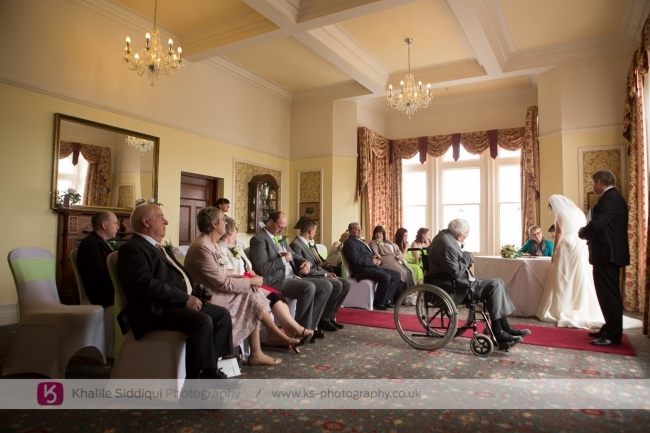 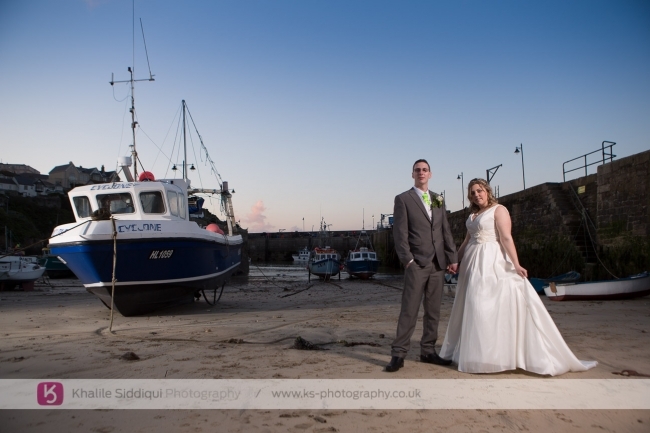 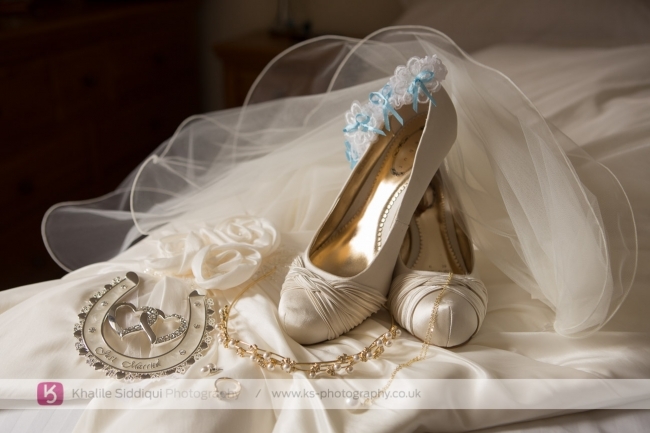 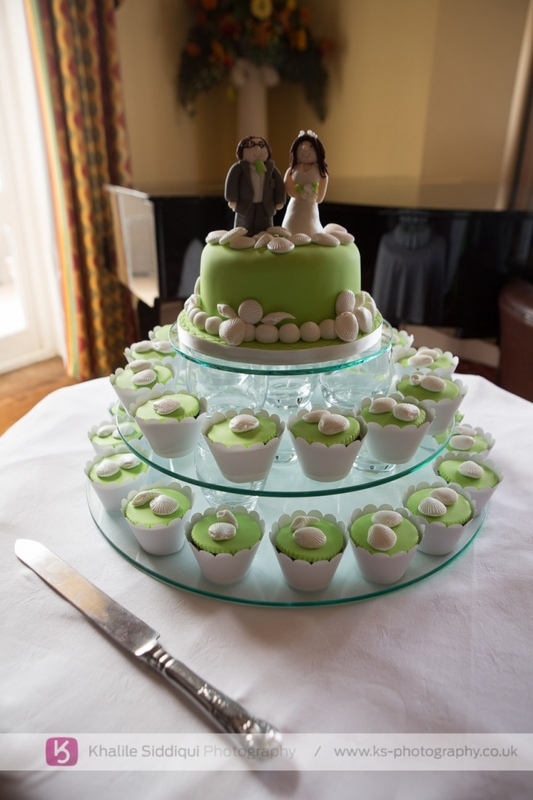 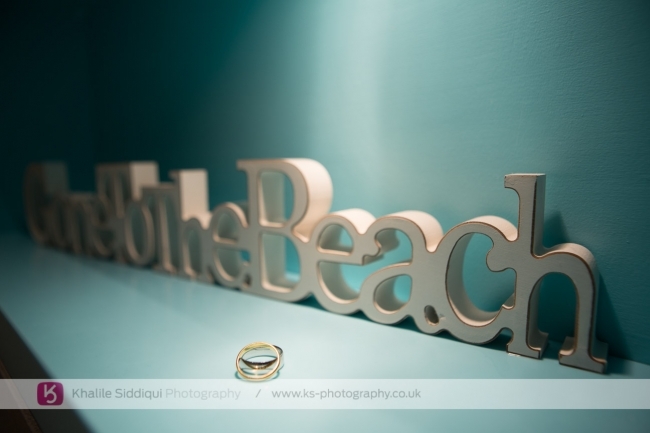 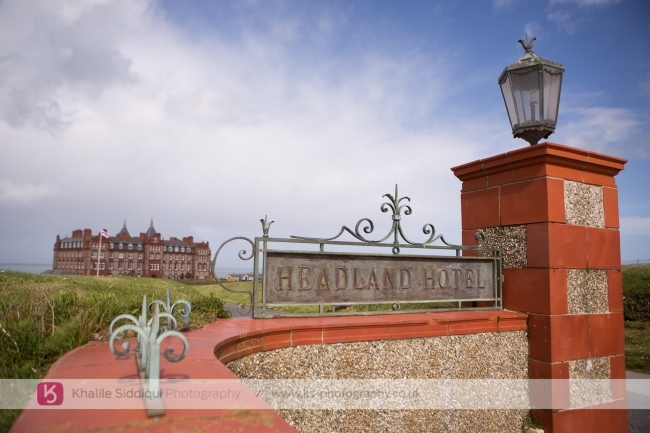 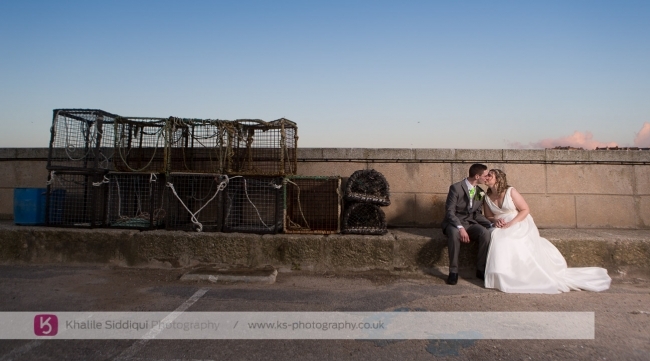 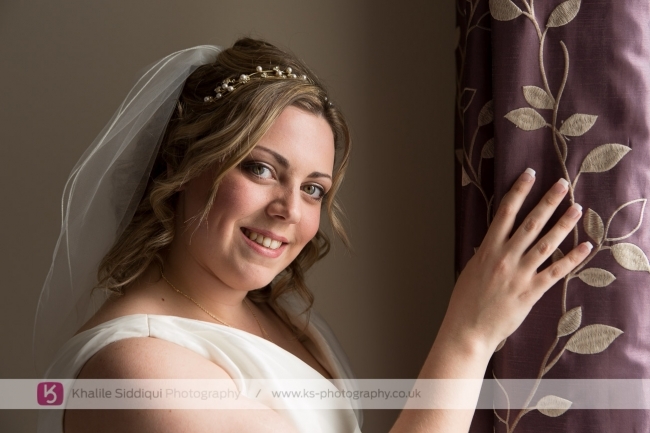 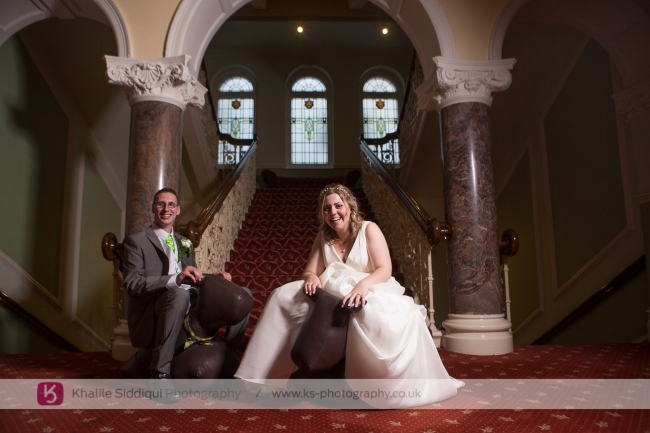 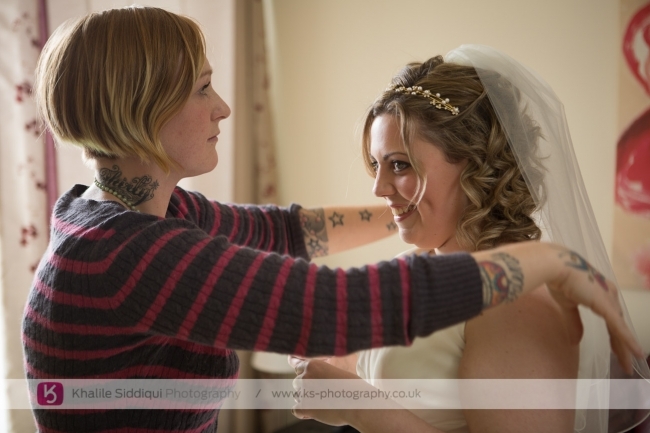 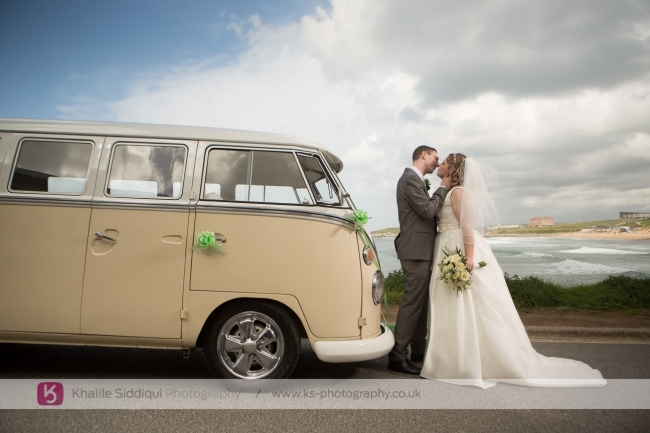 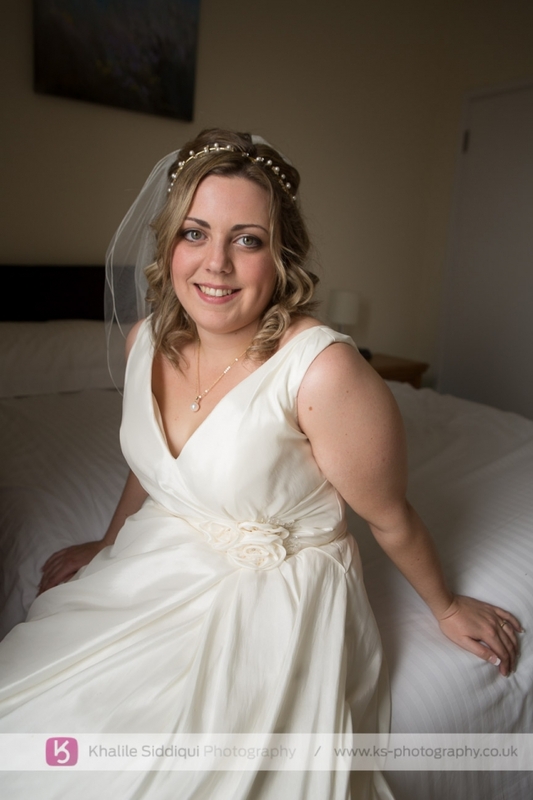 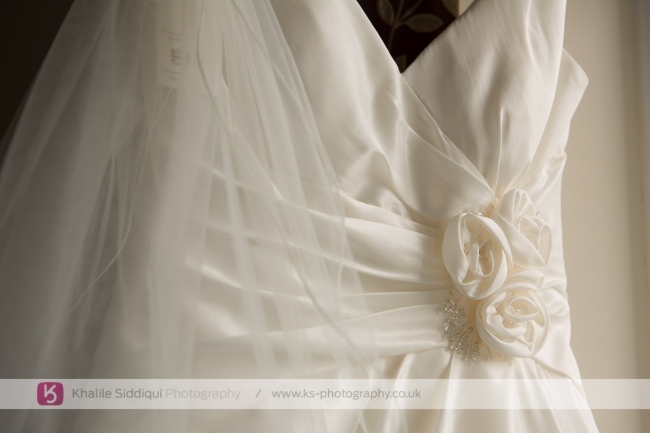 I met Kerry and Chris last year at "The Headland Hotel" wedding open day. 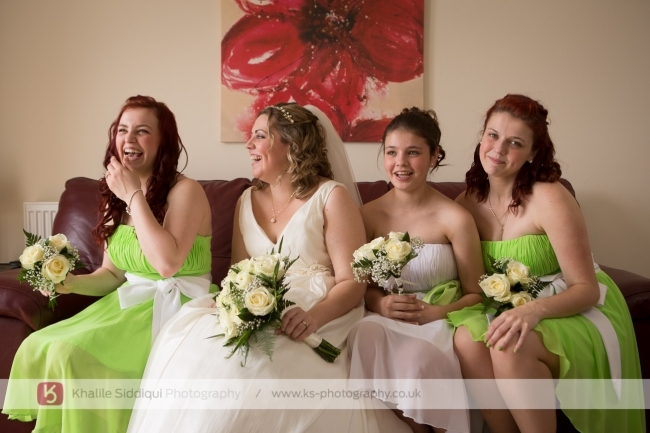 We were talking for quite a while (Kerry told me yesterday it was over an hour!) 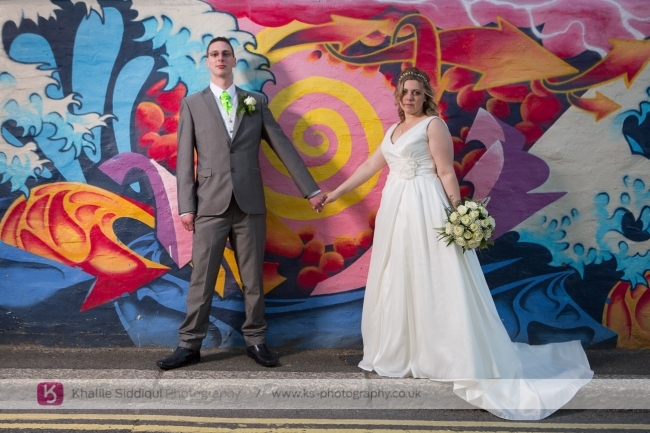 and it was then that they said that they had found a so called photographic company who would do their wedding for £250 but alarm bells rang for Kerry when they said they wouldn't meet anyone from the company before the day. 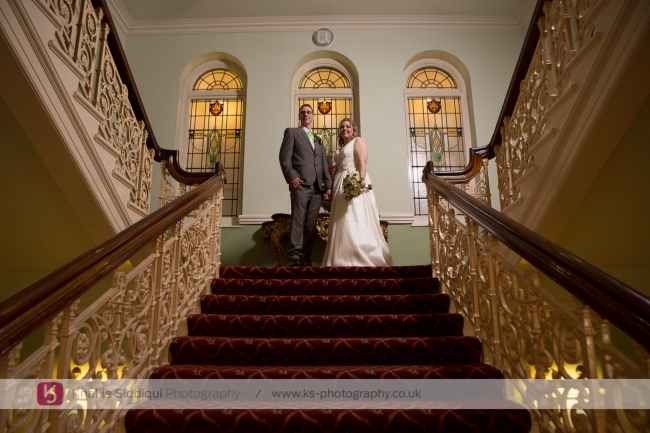 After we were talking for a while Kerry and Chris saw the true value of quality photos to relive their wedding day for many years to come, and so decided to up their budget dramatically and booked us the following day. 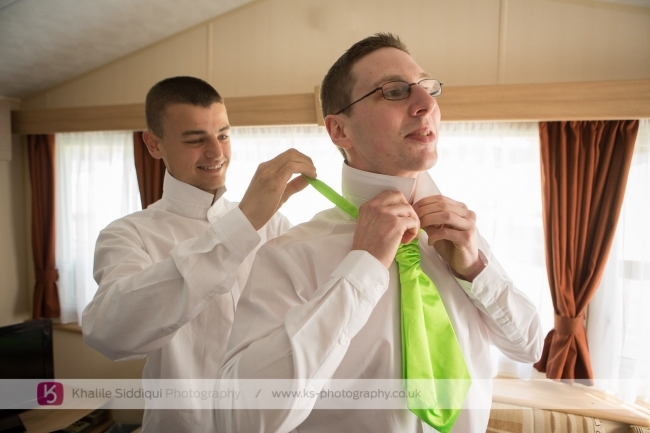 After dropping Tams off with Kerry I headed off to meet Chris and the other gents getting ready before taking them off for a photo shoot. 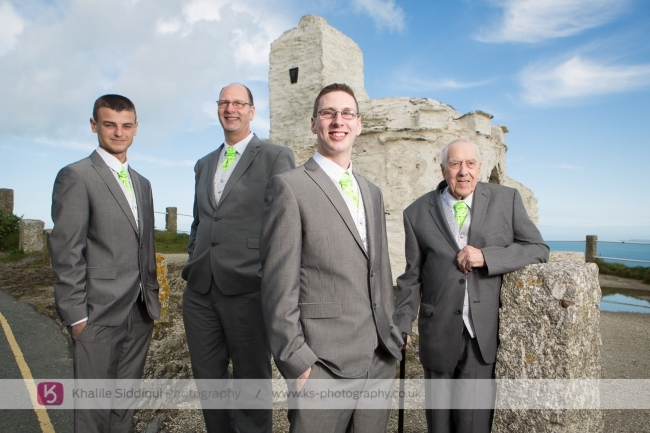 We've only ever covered two weddings where the groom chose his Dad to be the best man, but I was touched to hear Chris chose his Granddad Geoff to be his best man for the day. 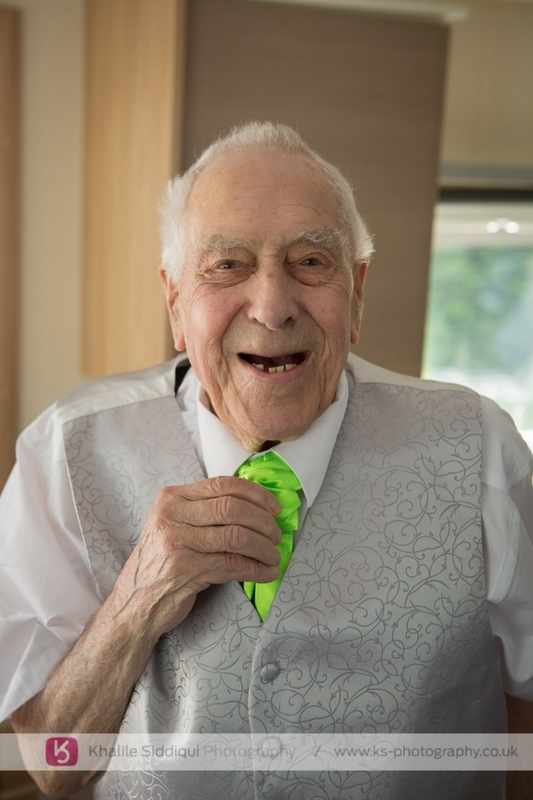 Bless him he'll be 90 on Tuesday, but really got stuck into the spirit of the day. 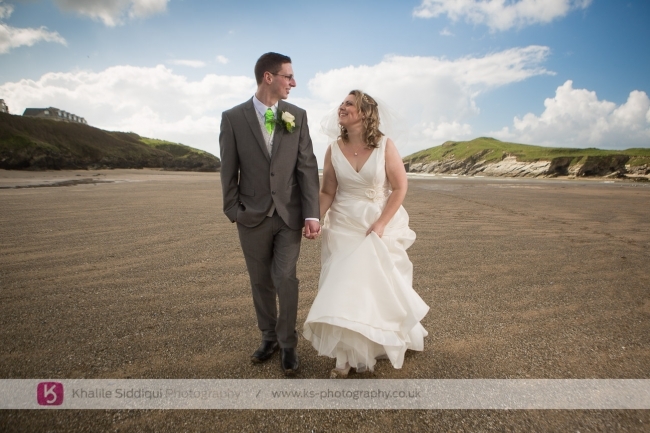 After dropping Chris at The Headland I made my way to meet Kerry and her family getting ready at a nearby apartment in Pentire. 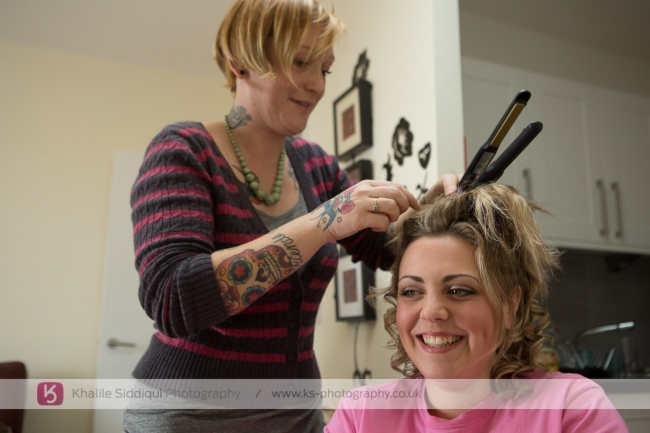 Tams had already finished the make up, and Kerry was having the last bits done to her hair, so I took the opportunity to get some detail shots. 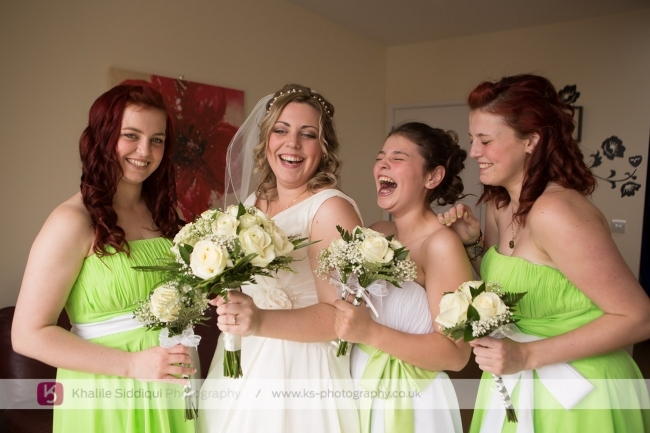 Kerry's family certainly are a lively bunch, and there was no end of banter going on while Kerry and her three sisters (who were also her bridesmaids) were getting ready. 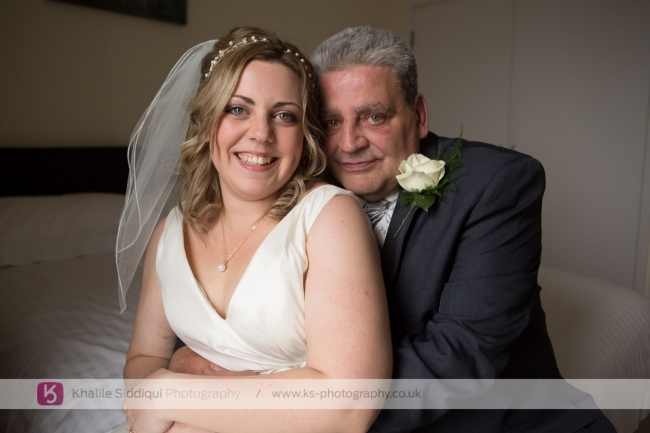 But after a few photos of the four of them it was time for the sisters to leave and I made the most of the time by getting shots of Kerry and her charismatic Dad Jimmy. 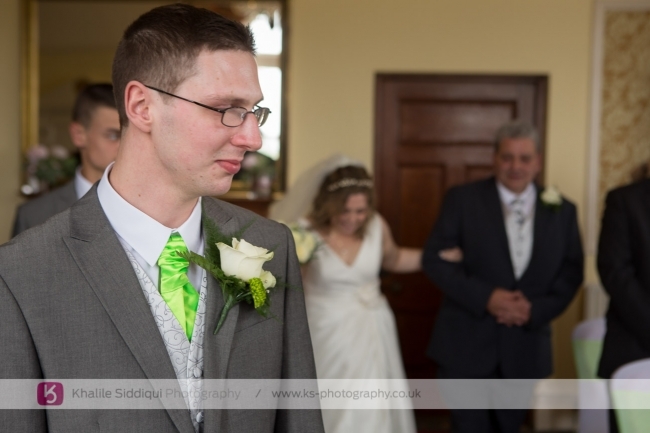 He was most definitely the head of a fun loving and close family, being a very bubbly and chatty personality, but he got quieter and quieter as we neared the time to leave for the hotel, having to take a minute to compose himself before getting the last photo in this next sequence. 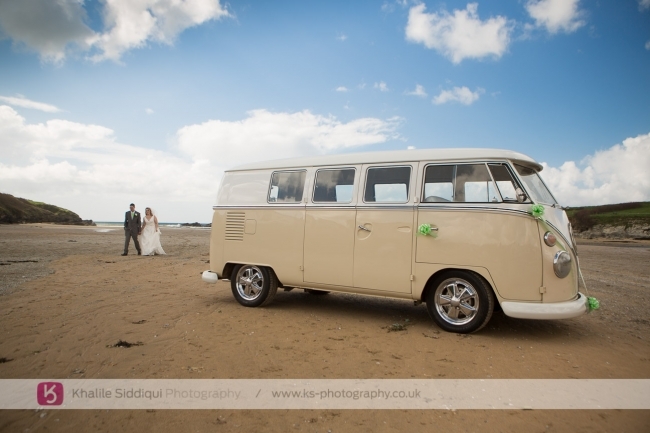 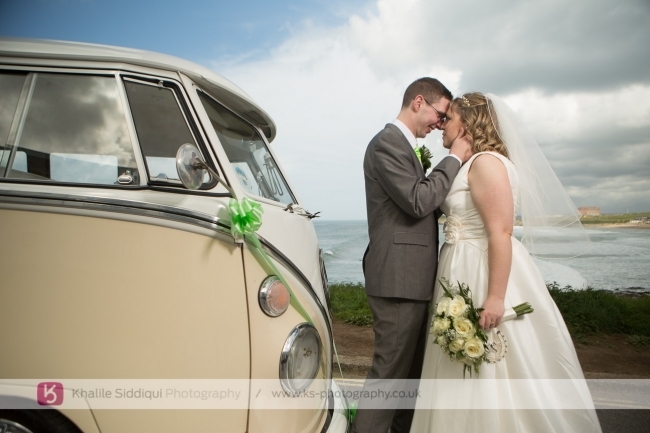 Kerry and Chris went for "Cornwall VW Wedding Hire's - Juliet" for their wedding vehicle of choice, the beautiful cream camper to transport Kerry to The Headland for their ceremony, where everybody were waiting for Kerry's arrival. 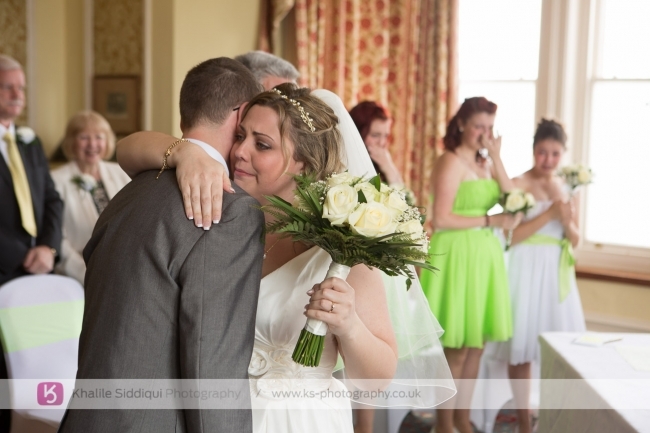 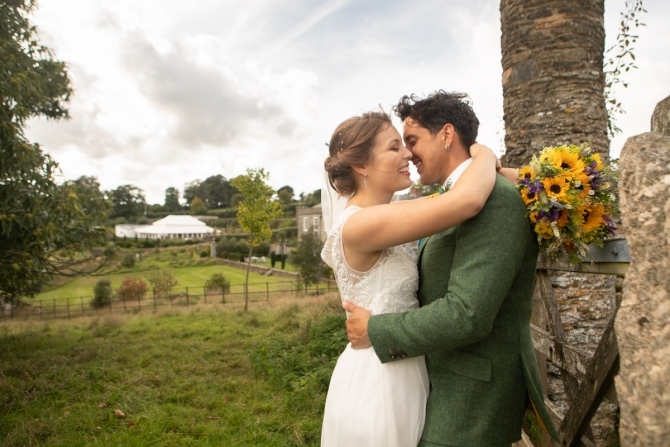 It's always lovely when there's loads of emotion on a wedding day, but this has to have been the most teary wedding we've done in quite a while! 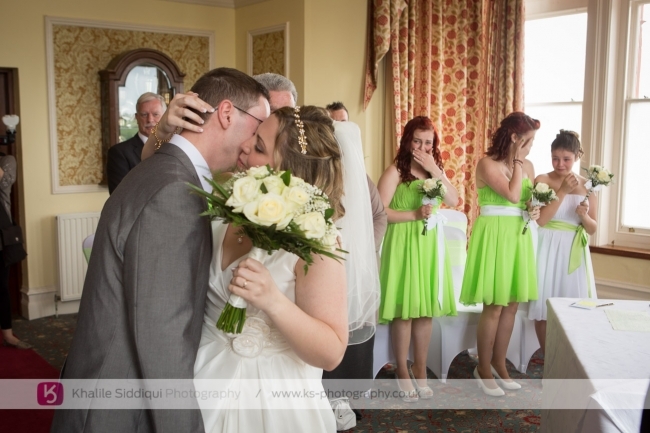 I think this was the first time we've ever made a wedding breakfast start late but it was totally unintentional. 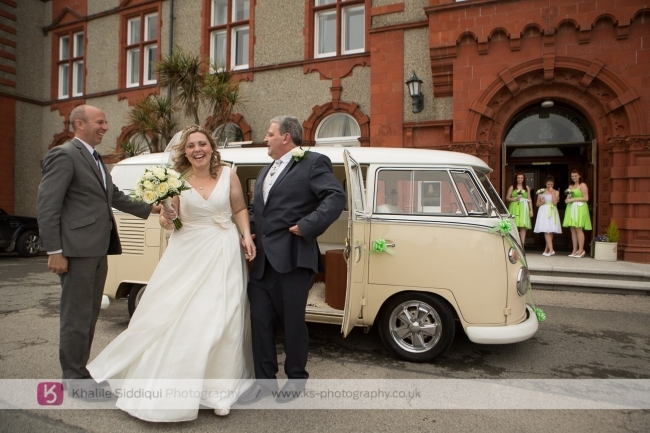 I saw Kerry and Chris off from Porth beach in the camper van after joking with Darren about how brave he was taking his van so far onto the beach when yep, you guessed it MY van got stuck in the sand in the car park. 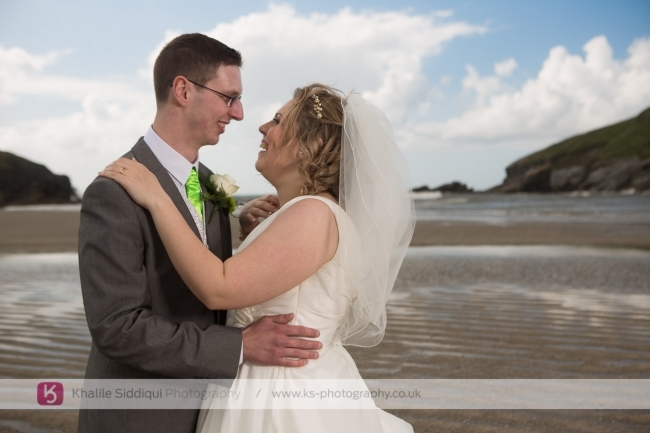 Thankfully a passing local in a 4x4 came to my rescue and pulled me out after the attempts of many holiday makers to dig/push be out was unsuccessful. 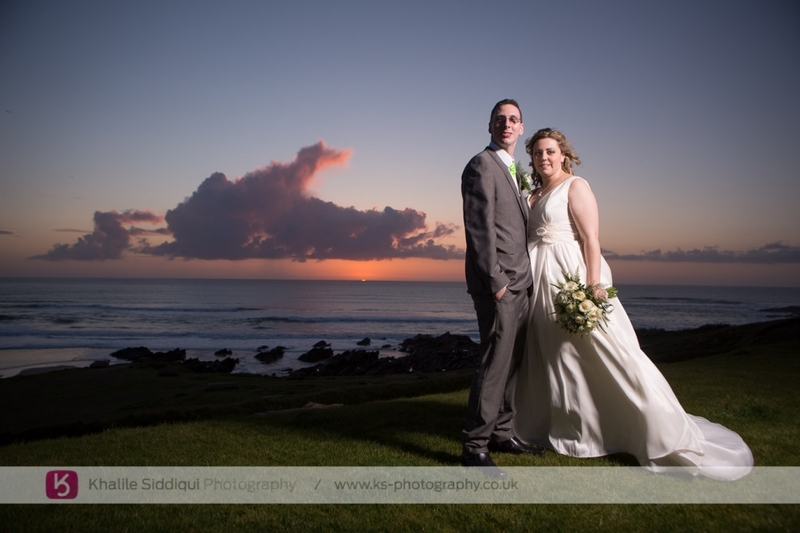 After the wedding breakfast where Kerry & Chris cut their "Tina's Celebration Cake" they fancied getting a few more photos around the hotel and a few more shots around Newquay. 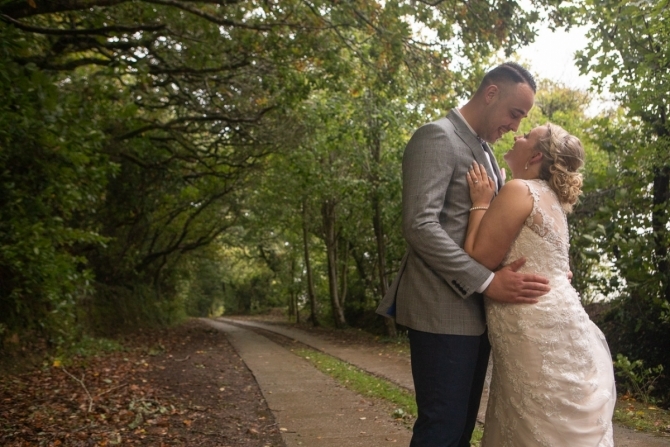 Dearest Kerry and Chris, you will always stay in my memory for how you went the extra mile with your budget to have us join you for your special day. 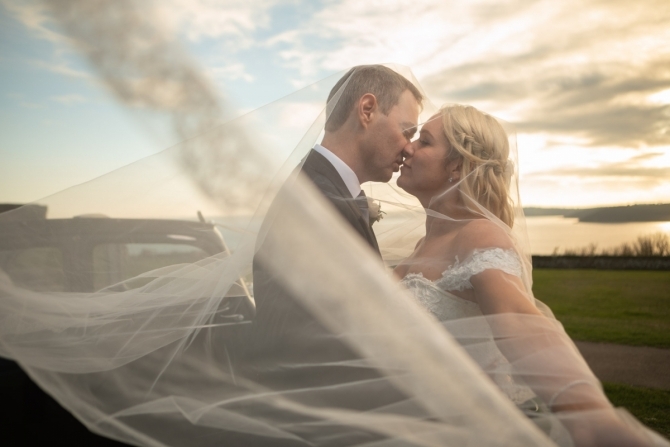 I do hope that these images confirm your original thoughts on booking us, and Tamsyn and I wish you a long and happy life together!